For the second year in a row, the artwork of a Soroptimist is featured in the CSW Forum Handbook! 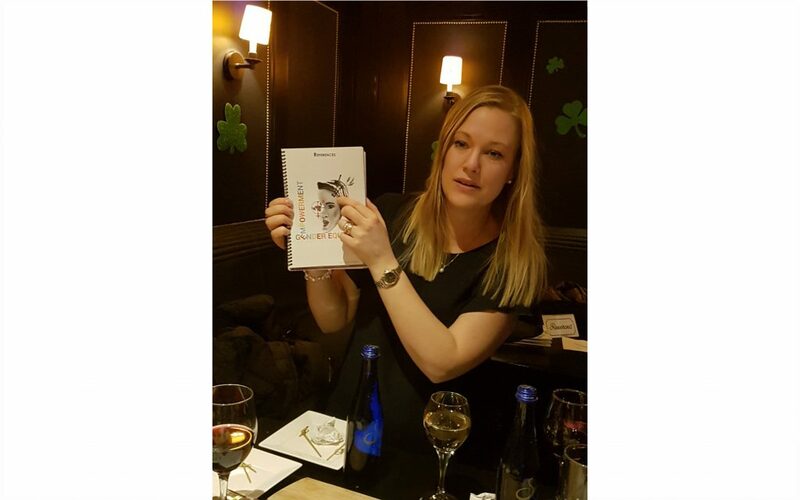 Annelie Börjesson of SI Club Goteborg-Bohus, Sweden, submitted her artwork to the CSW Handbook design contest. Annelie created a beautiful piece which is featured as a divider in the Handbook. The design incorporates the CSW62 theme: Challenges and opportunities in achieving gender equality and the empowerment of rural women and girls. 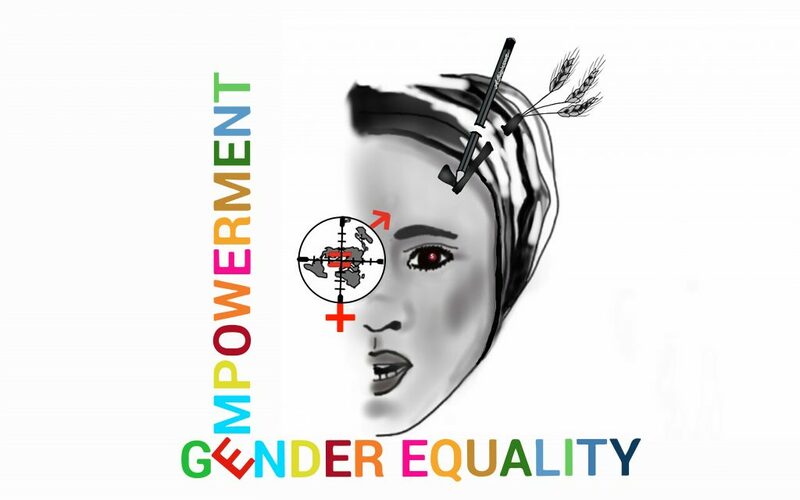 The colour of the text “Empowerment and Gender Equality” uses the same colour scheme as the Sustainable Development Goals infographics. In particular, the representative colour of SDG 5: Gender Equality, red, is central to the piece, just as is it is a central element to women’s empowerment. If you look closely, you can even see the number 5 in the woman’s eye. An agricultural ax atop the subject’s head symbolizes the situation of many rural women. The pencil next to it symbolizes the importance of education to improve women’s lives. The globe, seen from the North Pole just like the UN flag, is adorned with both the female and male symbols to show that gender equality and empowerment is a global issue. Women deserve to be treated as equals to men and feel empowered all over the world!